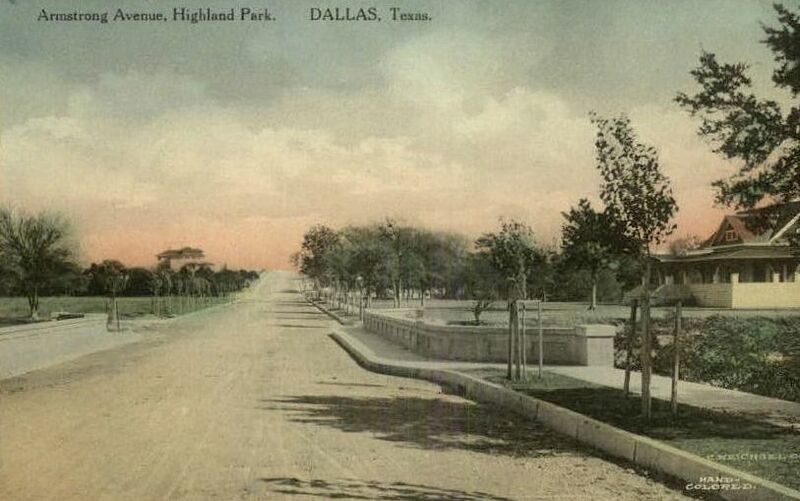 Highland Park in its early days of development. 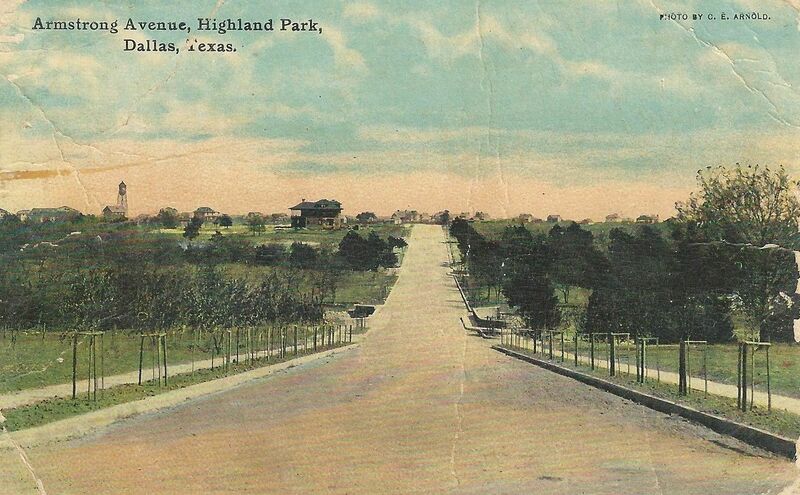 The postcards above and below show Armstrong Avenue, looking east, from about Preston Road. An even earlier view can be seen in the postcard below (ca. 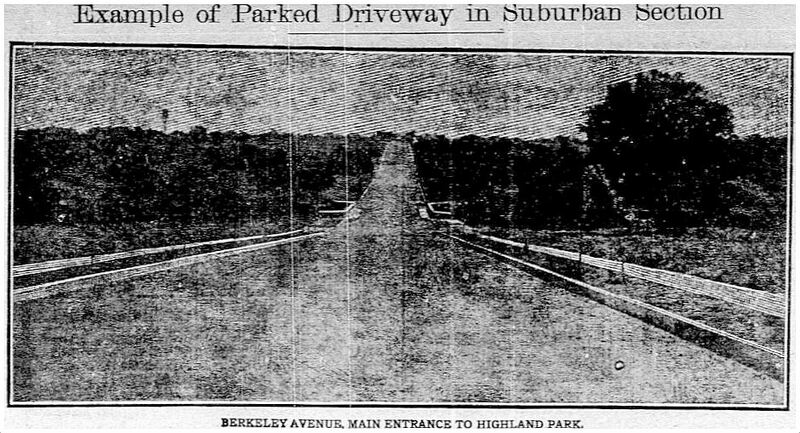 1908), which shows “Berkeley Avenue,” the original name of Armstrong (see newspaper clippings at the bottom of this post for more on Berkeley Ave.). All of these postcards show what looks to be the bridge over a stretch of Turtle Creek then called Lake Neoma. 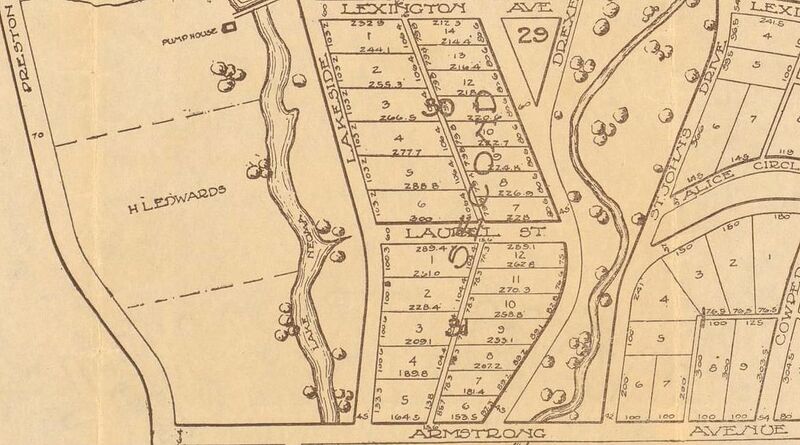 I’m not sure when the name “Lake Neoma” ceased to be used (I believe it’s now Wycliff Ave. Lake), but here is a nifty little drawing of it from a 1915 map from the Flippen-Prather Realty Co., the developers of Highland Park. Postcards from Flickr. 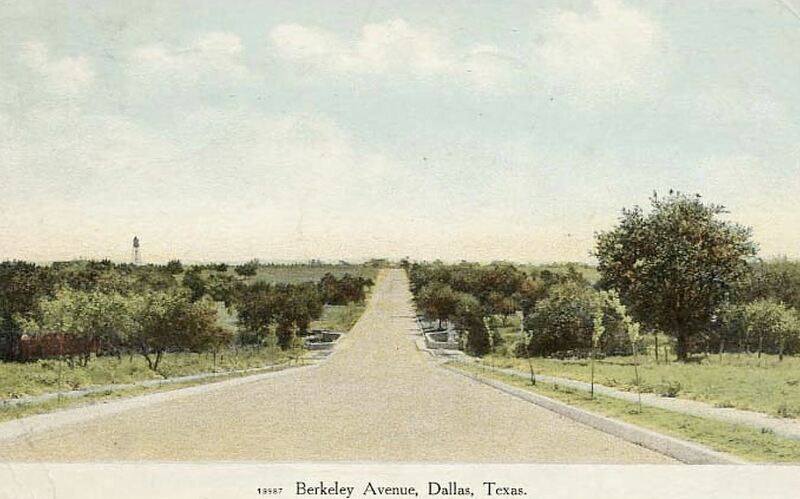 “Berkeley Avenue” from Flickr, here (it is suggested that this shows Berkley Ave. in Oak Cliff, but this is incorrect — it is definitely Highland Park). Map is a detail from the Flippen-Prather map of 1915, which can be viewed here. Click pictures for larger images (top image and map are HUGE). Thanks, Peter! I figured it was east of Preston Rd. 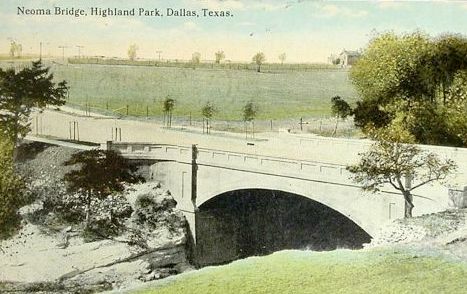 — “West Highland Park” (or “Highland Park West” or whatever they were calling it) wasn’t really developed until much later, right? And not pecan tree! I left for camp every summer from that train station. Always trying to not get flattened, while flattening pennies. My Grandparents lived at 3730 Armstrong.